I am all things southern. There is no doubt about that. Some might go so far as to call me country as a turnip green. I'm proud of being southern. I love my twang; sweet tea; my Grandmother; front porch swings; crickets chirping; church on Sundays; my silly southern sayings; and so on. For as much as I love my home state, my twang, and everything else my life encompasses in the Bible belt, turns out to get closer to my goal of true health, I had to find my way north. True North isn't just the name of the facility where I am staying, it's a frame of mind; a state of being. 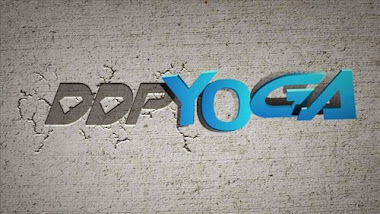 My journey the last two years hasn't just been about yoga and eating right and even DDP will tell you there is more to it than that. It's also been about finding myself again amidst the struggles of my every day life: learning to react and adapt. But waking up daily in a body that has no desire to do for you what it was designed to do is a real struggle. And this journey of finding my true path to health has been an arduous one at best. Despite the every day struggles though, I have continued to crawl my way forward one millimeter at a time. Even when it appeared I was going backward, I was still moving forward because over the last two years, I have still never thrown in the towel no matter what life has thrown at me. Dallas taught me that for sure. I still haven't given up. It should come as no surprise to anyone who knows me I'm not known as the person with the best track record of Lady Luck being on her side. So, when middle Tennessee was hit last week with a freak ice storm, meh, that was par for the course. Why wouldn't we be hit with the first ice storm in around a decade the week I'm supposed to hop a plane and fly 2000 miles further into my journey? Why wouldn't my infusion appointment get canceled because Vanderbilt clinics were closing down for the first time in, I don't know, ever. Then my flight was canceled anyway, blah, blah, blah, blah, blah... Of course there were people all over who I am sure were much more inconvenienced than I was, but in my moments of "of course the universe centers around me and my needs," it just felt like twelve more ridiculous road blocks I should not have to be dealing with. There were issues in getting flights rescheduled; issues making connecting flights when my new flight was delayed days later due to de-icing on the runway; and so on. After rising at 2:30am my time, my 22 half hour quest to make it across the country, finally came to a close last Saturday night when I arrived at 1551 Pacific Avenue Santa Rosa, CA. My first week at True North comes to a close in just over 24 hours. It's been strange. I spent the first few days fighting off migraines and sinus congestion and jet lag. I slept a lot. I mean a lot. I've enjoyed the cleanest eating I've ever had in my life and I've enjoyed quiet. There's been a lot of quiet. Today was my first day on juice. I'll have two more days on juice and then I'll begin my fast. I'm shooting for 30 days of fasting. In my research into fasting, 30 days seems to be a fairly magical point at which the auto-immune system can potentially reset. That's what this whole leg of the journey is about: resetting that thing inside me that works so hard to keep me from moving forward. It's a fair assessment to say I've been called crazy a time or two in my life. A fairer assessment might be that I've been called crazy more than a few times. And I'm okay with that. There was a period in my life when I wouldn't have been okay with that; when I would have been bothered by someone's disapproval of me. I'm beyond those kinds of worries for the most part these days. I knew when I began sharing with people I was seriously considering an extended water fast the word crazy might get bandied about. And it did. And I'm okay with that, too. Now that I'm doing it, I'm sure crazy is being tossed around a bit more. What chance wouldn't you take though to get control of your body back? What place wouldn't you take yourself if you knew there was a chance you could cast out a demon that had plagued your existence for almost half of your life? What wouldn't you do? Would you take that chance or would just spend the rest of your life wondering what might have been. I've made some mistakes in my day to be sure, but there's little wondering what might have been going on between my ears. I'm pretty sure every day that I'm exactly where I'm supposed to be in life. Today's one of those days. We've all heard the often trite message regarding walking a mile in someone's shoes before judging, blah, blah, blah. The truth of the matter is that we will never be able to walk a mile in another person's shoes. The similiarity of our struggles can be of some measure in our understanding of what others have gone through, but no two people will ever go through an identical situation and have an identical understanding or intepretation of that situation once it's come and gone. Both of their understandings will be shaded, shaped and colored by a million factors that began occurring in each of their respective lives from the moment they were born forward. For me, this leg of my journey I'm on is about two things only: discovering my true north and bringing along anyone else that I can to do the same. Welcome aboard the crazy train! Eloquently stated, as always. Praying for you, cuz! Only you know what is right for you and your body. As for that "crazy"bit, well your fate was sealed the moment you were born into this family. Uncle Larry assured that. Know they you have a whole pack of crazy backing you up! We love you and we like you, too! So very proud of you sweet niece! Will be praying for you gal. Love you lots!! !